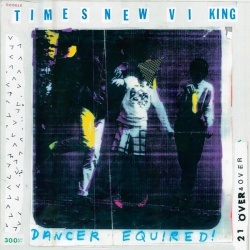 Ohio lo-fi garage trio Times New Viking are back with their latest LP Dancer Equired!, their first on big indie Merge Records. The first song from the LP is the melodic and (for TNV) clear eyed and bright “Ever Falling In Love,” which isn’t shroud in layers of dirty distortion as their previous material. Don’t mistake this for top 40 pop, but the song feels like a step towards maturation for this band who are becoming indie elder statesman as they near their 10th . Dancer Equired comes out April 26th.